Boys are being trained at one school for geniuses, girls at another. Neither knows the other exists - until now. The New York Times best-selling author of Bird Box invites you into a world of secrets and chills in a coming-of-age story like no other. J is one of only 26 students, all of whom think of the school’s enigmatic founder as their father. J’s peers are the only family he has ever had. The students are being trained to be prodigies of art, science, and athletics, and their life at the school is all they know - and all they are allowed to know. I’d been looking forward to the release of this book for months, and Malerman certainly delivered. Like Bird Box, Inspection’s plot is completely unique. 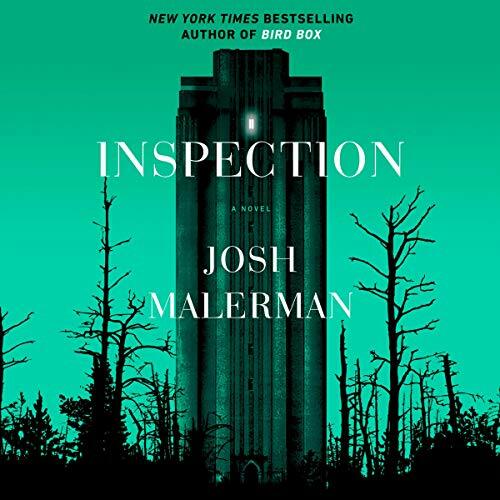 In this modern world of what feels like repetitive superhero movies, unnecessary sequels, and remakes, I’m so thankful for writers like Josh Malerman who are able to craft narratives that are not only beautifully written, but inspire deep introspection through captivating, truly creative characters and situations. While there was one significant possibility that wasn’t addressed (which I won’t mention here, but you will probably ask yourself while listening to the book), this book is nothing short of inspiring. I hope to read and listen to many, many more stories by Josh Malerman. Well written and hard to put down! Overall an exciting and intriguing story! The male narrator is often distractingly over animated though. Was a serious struggle to finish this one. Extremely slow build, thought it would improve after the change in narrator, but only an incremental increase in pacing. Hope this isn't like Paul Tremblay, whose books post Head Full of Ghosts became one note . I enjoyed the book. it makes you wonder what would happen to the children if this were real.